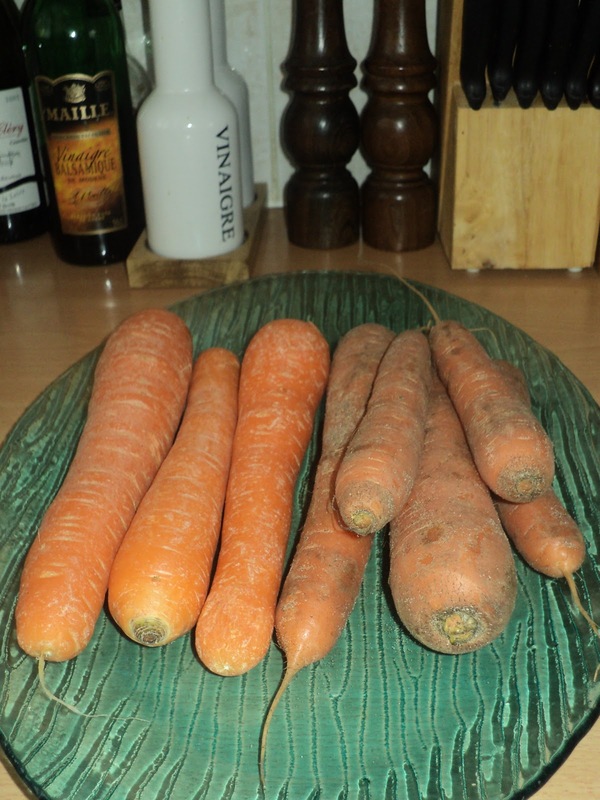 Judging simply from the looks of the two carrot varieties pictured here, which do you think is the more expensive? And which group (after meticulous scrubbing) would win in a single-blind taste test by a panel of discriminate food critics with highly trained palates? Okay, the ballots are in, and the vote was unanimous: both of my kids opted for the standard carrots on the left, which are grown in good old-fashioned dirt. I had sliced both groups into bite-sized sticks and set them out in two different decorative bowls on the table. Hands down, the kids agreed (wow, agreement on something) that the normal carrots were much sweeter, tastier.